I was very satisfied with my salesperson, Pam and Spitzer! I really love my car! Thank you so much!! Jason was good salesman. Very good salesman. Excellent service, excellent place. I love my car. Thank you so much! A special thanks to Carol. She treated my wife and I like we were the President and the First Lady! She was excellent to deal with. Amazing job! About Us: findacar.us is a vehicle, delaership, and mechanic search engine that aims at assisting you in searching for the best Brookpark new and used car dealerships. 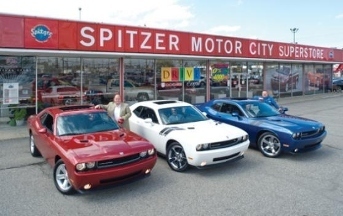 You can also find Brookpark, OH cars for sale. You can search for over 2 million vehicles by make, model, price, color, and more with our in-depth faceted drill-down vehicle search. You can also find cheap Brookpark vehicles for sale or expensive Brookpark vehicles for sale if that's more your style.